I was totally impressed by the story line, the moral behind the story and the colours of the 3D effect! 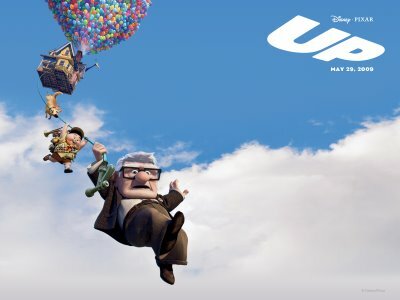 Up started when Carl meets Ellie during their childhood who admire the famous explorer Charles Muntz. Ellie, who lays out her plan to Carls on her dream which one day live at South America’s famed Paradise Falls. They end up getting married, go thru the path of their marriage life and Ellies dies which Carl is left alone, a widower who lost the love of his life. That was really a touching moment to me…..
Ellie: [her last message to Carl] Thanks for the adventure. Now go have one of your own. This is a wonderful movie and with 3D effect assistance, it complete the whole movie. A movie that you never want to miss…. Choong Weng - Agree! This is a great movie. The story line is touching.